My daughter loves playing pretend by wearing tiaras, hats and jewelry. She got some cute play jewelry as a gift but I had to quickly take them away when they broke into small pieces. I decided to make something safer and more durable. Fold one of the pink felt sheets in half and place some fusible web in between layers. Peel paper and fuse layers together. Print out template. 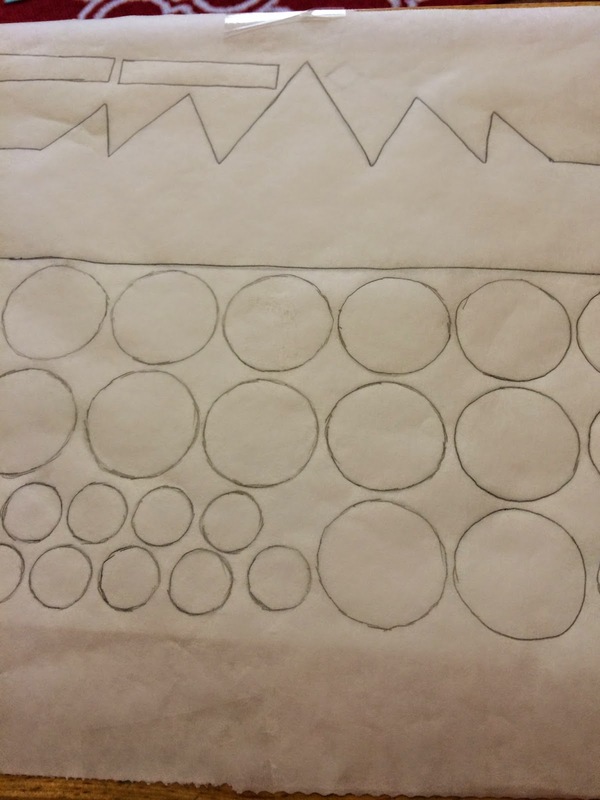 Place a piece of wax paper, matte side up on top of all of the pieces on template except for diamond shapes and trace around. Place the traced wax paper shiny side down onto felt pieces and iron on. 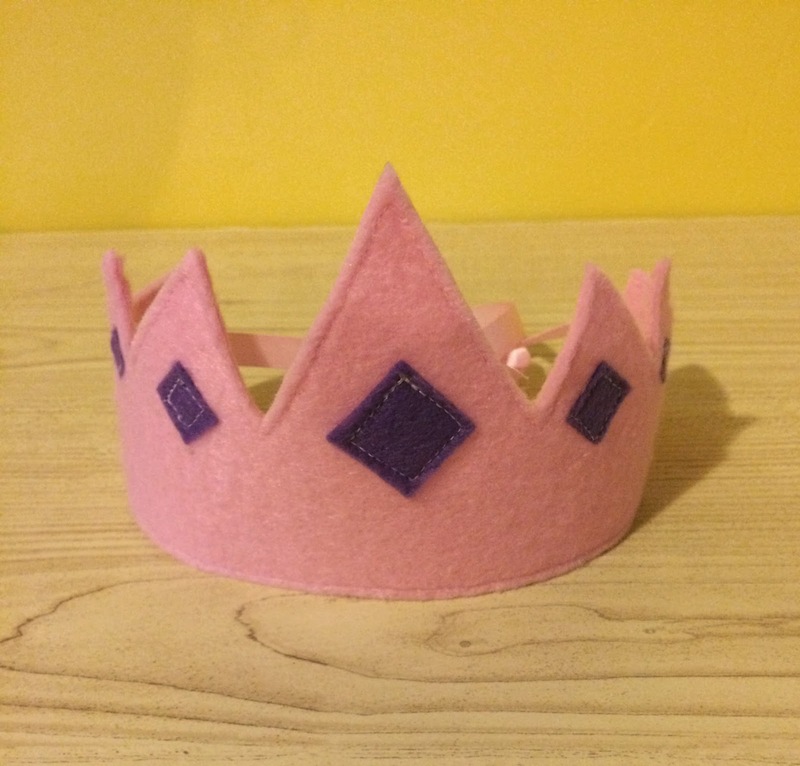 Make sure to iron on tiara to the double layered felt. Cut around all of the pieces. Peel off the wax paper. Take a piece of fusible web and place on top of diamond pieces on template paper side up. Trace all around. Iron on fusible web to colors of felt you want the diamond pieces to be. Cut out and set aside. With a warm iron fuse the diamond pieces to the crown. You can sew some edge stitching around the accent pieces to make it more durable. 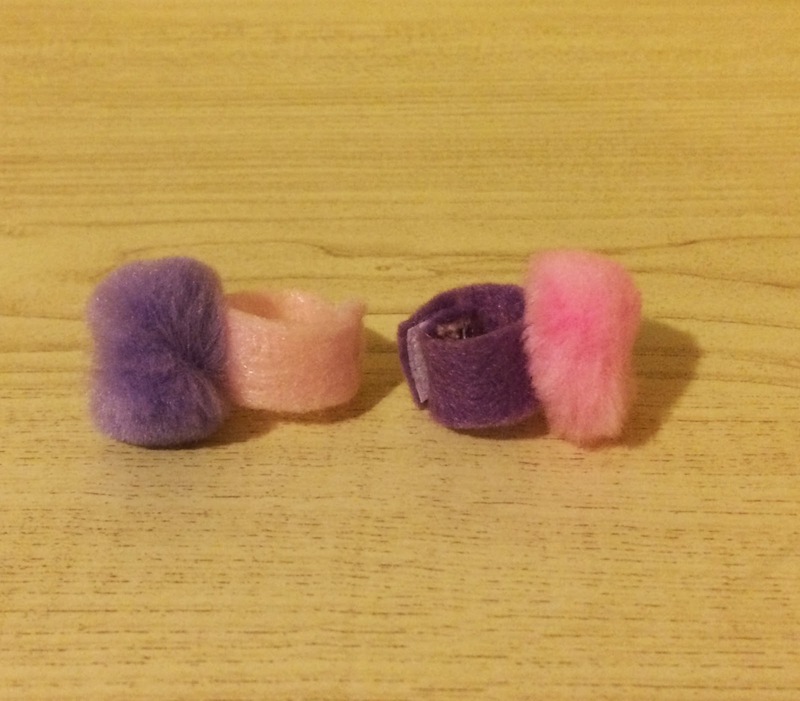 For ring, hot glue pom pom onto middle. Sew a small piece of velcro on each end of ring. For the necklace and the bracelet, place circles in a row and over lap them by 1/4" inch. Pin them in place and sew a straight or decorative stitch down the middle. 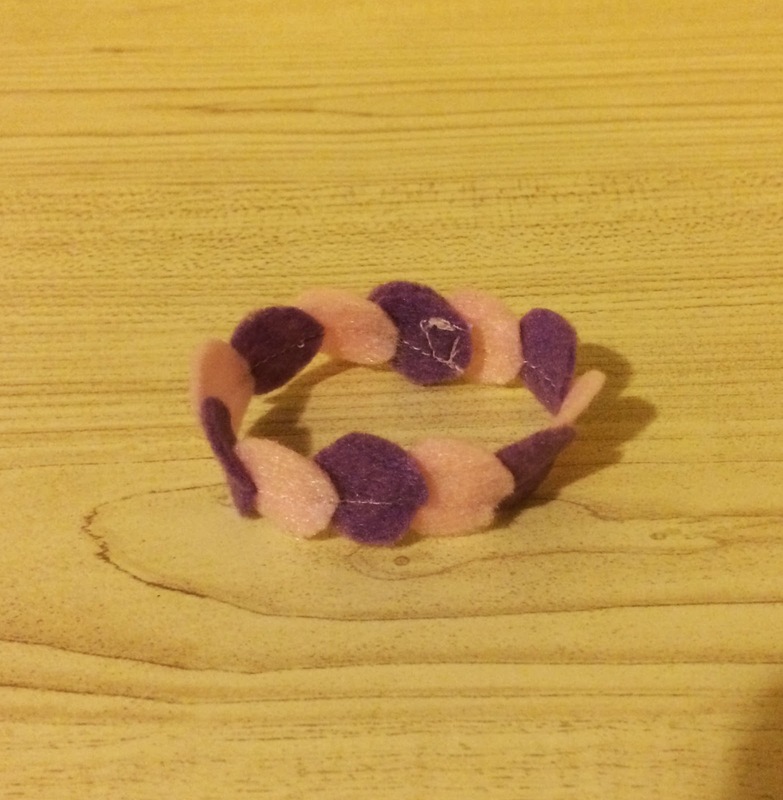 Sew a small piece of Velcro on to both ends of bracelet. Sew a 10" piece of ribbon to each of the ends of the tiara and necklace. How fun! 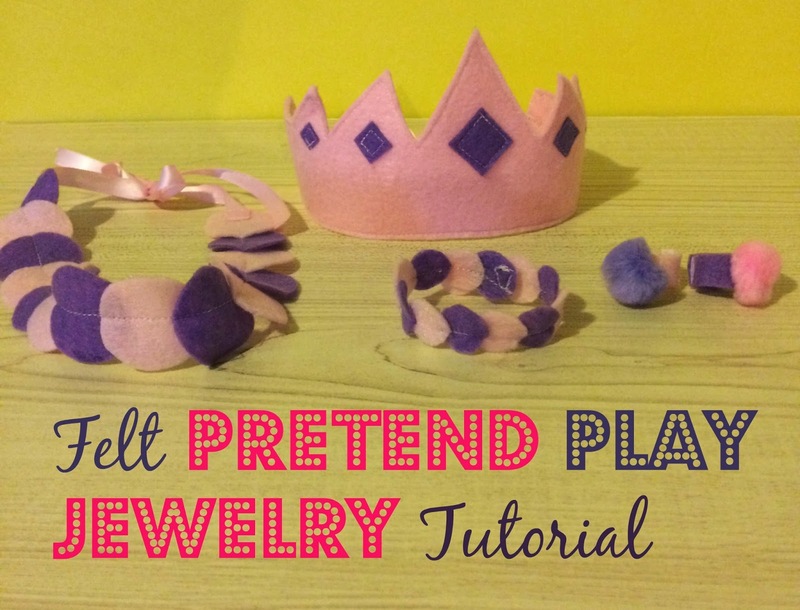 Especially since felt is typically not super expensive- your daughter can have several sets of tiaras/jewelry and really get into it! Wow! that is really cute and simple! What a cute idea. I knew a few little girls who would like this. I love this! My two little nieces would be in heaven if I made these for them! Thanks for the fun tutorial! How adorable! I have a few little girls in my care everyday who would love this. This is a great way to teach shapes too. I'm pinning this one and then, later on when I have more time, I'm going to look around for that stack of felt sheets. I know I have some around here somewhere. Thank you for sharing such a cute idea! You know, it never occurred to me that this could be turned into an educational tool as well. Great point! Sadly, I don't know how to sew. That is so cute, though! My daughter would enjoy something like this. What a cute and great idea. This would be a great activity to do with my niece. I'm going to bite the bullet and do this with my niece as well. She's all about girly, crafty stuff. My daughter would LOVE this! I don't have a sewing machine though, so I would have to do it all by hand. I wonder how much of a pain that would be, LOL. That's absolutely adorable I would love to try this with my granddaughter, I know she'd love it. My niece would love this! She's super into crafts, and she loves anything princess-y. Absolutely adorable! I'm sending this to my sister-in-law so she can (hopefully) make some for my niece! This Is Adorable I Can't Wait To Make With The Kids Thank You! This is so neat! I will refer back to this when my daughter gets a little older. This is so great because it is sold and pliable and you could do so much with it! This is a great idea. My lil niece would so love these. She could would have a blast making them with me too. Thanks for sharing. I love your blog! This is another amazing craft to do. My boys have a lot of gifting to do...I'm thinking of trying to use up our red and green felt pieces from another project for gifting...thanks so much for sharing! My daughter would love doing these crafts! thanks for the ideas! I love the felt jewellery. My daughter would have loved making that and wearing it. Such a good craft to do. That is such a cute idea! What a fun way to play dress up. 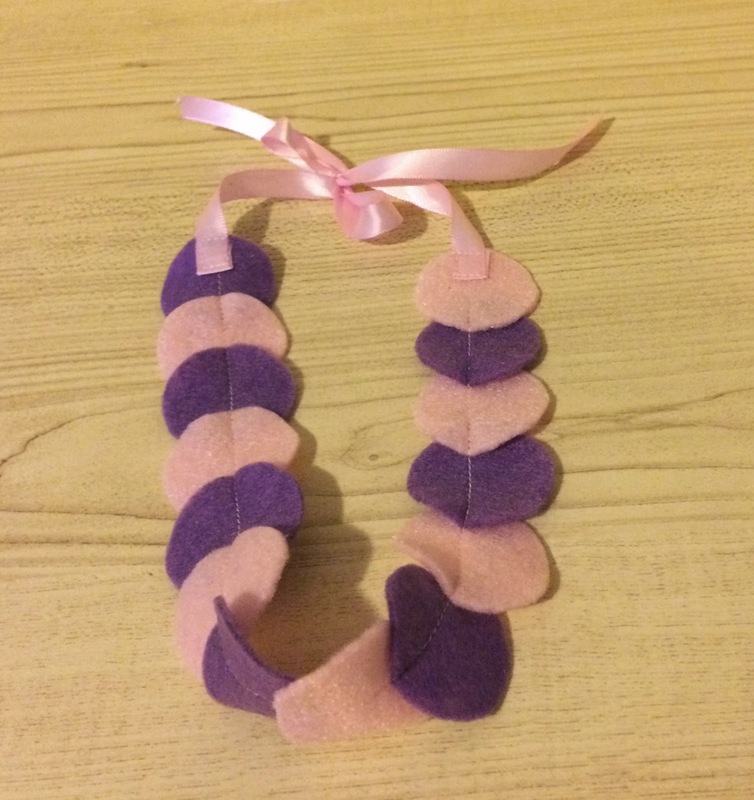 These are pretty cute felt jewelry, my youngest would totally be loving on these. I need to invest into a sewing machine. This is absolutely adorable! I'd love to make this for my niece! This is a great idea. Going to share this with my sis, so she can make some for her kids. So totally cute. I will have to make these for my girls. They would definitely get a kick out of them!